A black-capped chickadee checks out a feeder during a snowstorm in Feb. 2017. Snowstorms are great for backyard birdwatchers. The snow adds an interesting element to an already fascinating subject. Here, and a few more in the days to come, are some more shots I got over the snowy weekend. 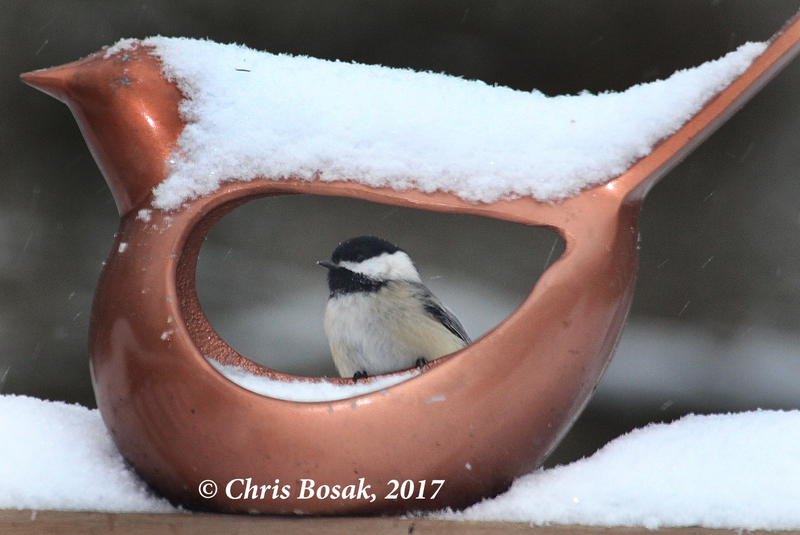 This entry was posted in backyard birding, Birds in snow and tagged Black-capped Chickadee by Chris Bosak. Bookmark the permalink.